Last season Amber Melgoza finished second in the Pac-12 in scoring with 19.0 points per game. However, no other UW Husky averaged more 9.4. That's got to change if Washington is going to climb out of the Pac-12 cellar. An old axiom in sports says to feed the hot hand and continue giving a player chances to score until they cool off. 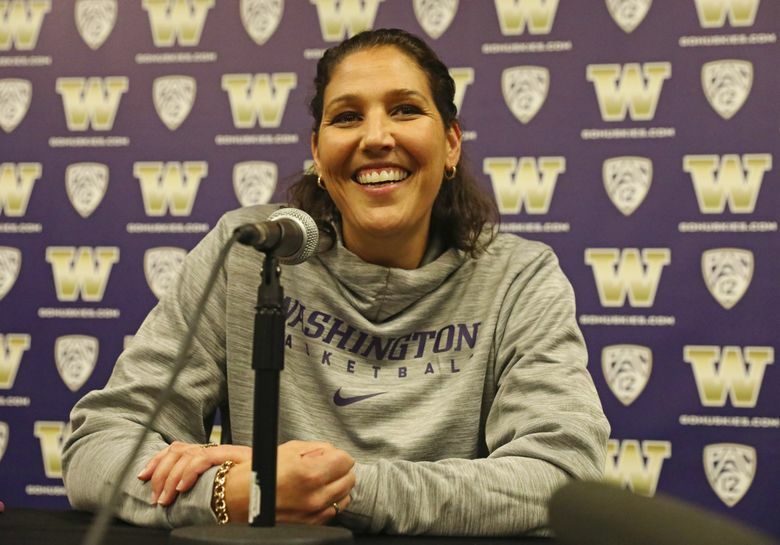 It’s a proven strategy, but Jody Wynn is hoping the Washington women’s basketball team won’t have to rely so heavily on its star Amber Melgoza for a second straight year. 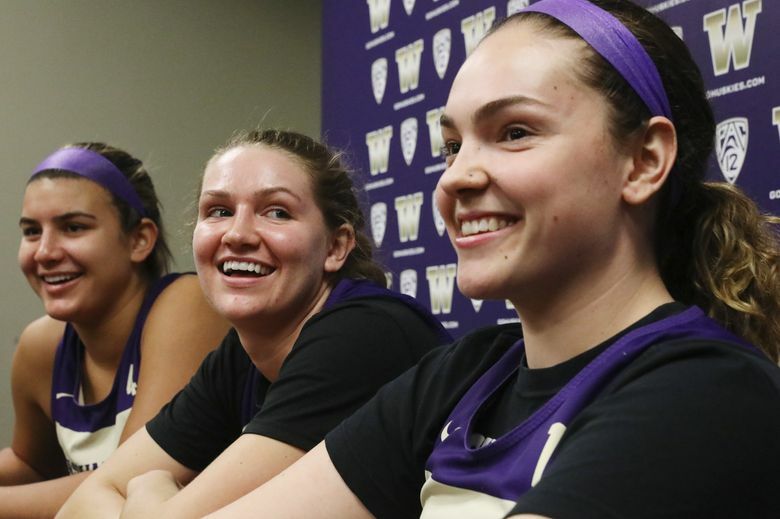 If the Huskies can’t find more consistent and reliable scoring options then, “we’re going to be in trouble,” said Wynn, the second-year coach. Melgoza attempted 473 field goals — 200 more than the next highest Husky. 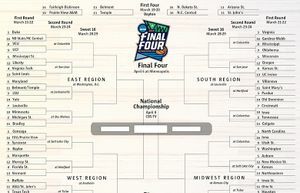 She took 25.1 percent of the team’s shots and accounted for 28.3 percent of the scoring. “I’ll never tell (Melgoza) not to shoot a good shot, ever,” Wynn said. “We want all of our players to be able to shoot good shots. Amber shouldered a lot of the load last year and a lot it came from her own work ethic and her confidence. She believed she was going to make every shot she took and we still want her to believe that. It was the most points by a Pac-12 player last season and a scintillating performance that encapsulated UW’s season. In that game Melgoza accounted for 50.1 percent of the points while no other Husky had more than nine points against the Cardinal. “We really talk a lot about scoring when the ball isn’t in her hands and … learning the game,” Wynn said. “Having a higher IQ where she can put herself in position to not only make herself better but make her teammates better. If Melgoza, who averaged just 2.1 points as a freshman, maintains last season’s scoring average over the next two years, she would finish her UW career seventh on the school’s all-time scoring list behind Kelsey Plum (3,527 points), Jazmine Davis (2,277), Jamie Redd (2,027), Guiliana Mendiola (1,928), Talia Walton (1,817) and Rhonda Smith (1,801). Aside from Melgoza, there’s no other proven scorer on a UW team that was 7-23 and finished last in the Pac-12 at 1-17 last season. “Last year we couldn’t implement too much because it was so game to game,” said Moser referring to UW’s first year with Wynn. “It was like drinking out of a fire hose. We could only implement so much. 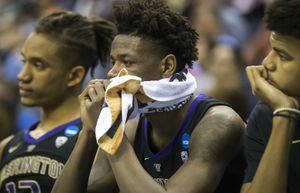 “Certainly having those two as sophomores brings confidence to the floor because I think they were our least confident players last year,” Wynn said.